If you have a garage, chances are it’s on your list of new year’s resolutions right next to the word: ORGANIZE. Have you started yet? Garages are a hub for storing items related to many activities, not to mention because they aren’t in our living space we just throw stuff in them. They can easily turn into a catch-all. This makes them a beast of a space to get organized. Garages are a space I frequent with clients because they are so overwhelming. Here are some simple steps to follow as you tackle the beast! Pull everything out. Move your cars out of the driveway and divide it into a grid. Separate all the items into like categories. Purge. Find a duplicate? Tag for donation. Broken? Throw it out. Haven’t touched it in 5 years since the last time you organized the garage? Say goodbye. Create zones. Look at the categories you’ve created. Think about how each item is used, and when. Does it need to go close to the door? On a shelf? Do you need to purchase shelves and storage totes? Use the walls. I see a lot of houses. And I’ve found that most people do not park their cars in the garage. That is okay (we currently do not either), but it still makes a garage feel less cluttered if you utilize the wall space to hang and shelve whatever you can. Return items to their new home. You can use this time as a second purge. Think hard about what you’re storing before you give it prime garage space. Think of all your spaces as a valuable commodity, and be selective about what goes in them. 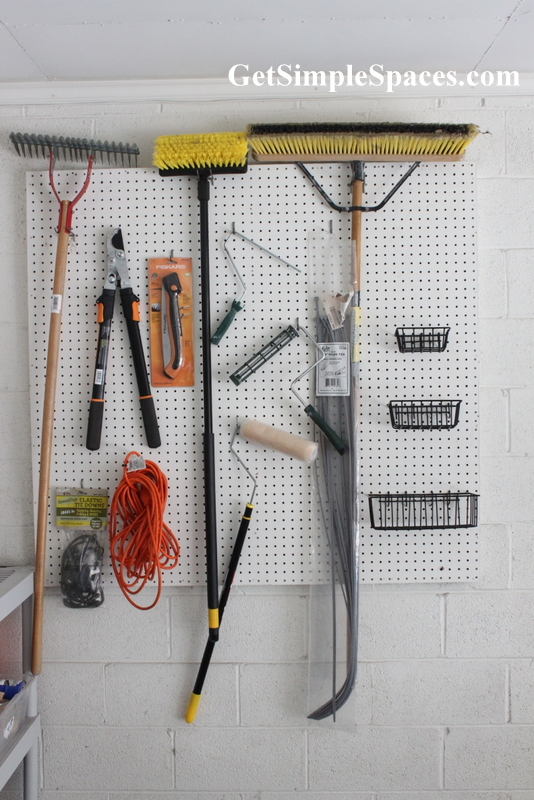 I hope these simple tips serve to get you on the right track towards an organized garage!